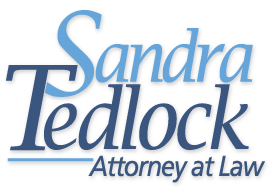 Sandra Tedlock is a Certified Family Law Specialist in the State of Arizona. Required Period of Law Practice. An applicant shall have been admitted for a minimum of five years, four of which must have been in the practice of law within the state of Arizona (two of which must be immediately preceding the application), and after such admission shall have engaged in legal service (as defined in Section I of the Rules and Regulations of the Arizona Board of Legal Specialization) equivalent to at least 50% of a full-time practice. Substantial Involvement in Family Law. Definition of Specialty Field: The specialty field of Family Law is the practice of law dealing with all aspects of antenuptial and domestic relationships, annulment, separation and divorce, alimony and child support and child custody matters, giving due consideration to the tax consequences, and court proceedings relating thereto. An applicant shall make a satisfactory showing as determined by the BLS in accordance with objective and verifiable standards, substantial involvement in the field of family law during at least four of the preceding six years, including the two years immediately preceding the date of application, based upon advice of the Family Law Advisory Commission. An applicant shall demonstrate current substantial involvement in the field of family law by furnishing the Board of Legal Specialization with information regarding the nature of the legal services in which the applicant has been engaged and identifying the types of issues of family law with which the applicant has dealt and the frequency of involvement therewith. Such demonstration shall be made initially through completion by the applicant of a questionnaire approved by the BLS, but written or oral supplementation may be required. An applicant shall demonstrate substantial involvement in the field of family law by listing all hearings within the past 24 months in which the applicant acted as lead counsel. A hearing includes orders to show cause, orders of protection and trial or evidentiary hearings whereby one or more issues were decided by the court. If the number of hearings listed is less than 30, applicant must list additional such hearings in which he or she acted as lead counsel up to a total of not less than 30 within the past five years. Applicant must list all negotiated settlement agreements, post or pre-nuptial agreements, paternity agreements or stipulated decrees in the past 24 months in which applicant was lead counsel. If the number of agreements listed is less than 45, applicant must list additional such agreements in which he or she was lead counsel up to a total of not less than 45 within the past five years. While Courtroom experience is necessary, of greater concern is the attorney’s ability to resolve issues with minimal stress to the parties while at the same time protecting the client's interest. The term "settlement agreement" includes complete resolution of all issues in a family law case or in a post-dissolution case, or in a pre-nuptial agreement matter or in paternity matters. The term does not apply to resolution of pendente lite matters. For purposes of these standards, a "trial or hearing", is a Court proceeding at which evidence in the form of live or deposition testimony is adduced and the Court decides one or more issues of fact of law. A Pre-Trial Motion hearing shall qualify as a trial or hearing if live or deposition testimony is induced in proceedings to establish, modify or enforce pendente lite financial or custody arrangements. If other pre-trial hearings in which live or deposition testimony is adduced are submitted, the applicant shall describe the purpose and nature of the hearing and the Commission shall determine whether such hearings shall qualify. If those counties in which local rules allow the Court to make a summary ruling on contested issues regarding pendente lite financial or custody arrangements based on affidavits of the parties without live testimony but with oral argument by the attorneys, a proceeding conducted in conformity to such a rule may qualify as a "trial or hearing". The hearings and agreements listed by applicant shall include all hearings and agreements in which the applicant served as lead counsel within the past 24 months, even if that results in listing more than 30 hearings or more than 45 agreements. The applicant may list family law appeals or special actions in the Court of Appeals or Supreme Court in which he or she was lead attorney within the past five years. If he or she orally argued in the matter, it may be counted against the required number of trials or hearings. If he or she did not orally argue, it may be counted against the required number of settlements. a case that involves a special action or an appeal to the Court of Appeals or Supreme Court. The lists of settlements and trials and hearings submitted pursuant to Standard II.B.3 must identify at least ten cases submitted as specified cases and must designate (by letter) which category above is represented by each of the specified cases. One case cannot fulfill more than one category of the specified case requirement at the Superior Court level. One case cannot fulfill more than one category of the specified case requirement at the appellate level (for example, if there is an interlocutory special action in the Court of Appeals and then after the decree, there is an appeal to the Court of Appeals and the Supreme Court accepts review of the decision in that appeal, those proceedings at the appellate level can only be counted as one case). The same case can fulfill one of categories 4.a through 4.i of the specified case requirement at the Superior Court level and also fulfill category 4.j at the appellate court level. In at least three of the cases submitted as specified cases, the applicant must have been lead attorney in a trial or hearing (as defined in Standard II.B.3) or an oral argument before the Court of Appeals or Supreme Court, at which one of the issues litigated was the issue for which the case is submitted as a specified case. That the applicant pass a written examination in topics relating to family law determined by the Advisory Commission. This examination shall be administered at the discretion of the Advisory Commission and shall include substantive law, rules of practice, procedure, evidence and ethics pertaining to the area of family law. The substance of the test and its grading criteria shall be formulated at the direction of the Advisory Commission and approved by the Board of Legal Specialization. That the applicant demonstrate a substantially complete knowledge of and high degree of skill in the use of alternative dispute resolution as it applies in the field. Legal competence is measured by the extent to which an attorney (1) is specifically knowledgeable about the fields of law in which the applicant practices, (2) performs the techniques of such practice with skill, (3) manages such practice efficiently, (4) identifies issues beyond their competence relevant to the matter undertaken, bringing these to the client's attention, and (5) properly prepares and carries through the matter undertaken. References. With each application, the applicant will submit the names of at least five Arizona attorneys who practice in the family law or judges before whom the applicant has appeared, familiar with the applicant's practice, and not including current partners or associates. The Family Law Advisory Commission will select at least five additional Arizona lawyers, judges, or qualified professionals as references from cases/matters/projects submitted by the applicant to demonstrate substantial involvement. The references will be requested to provide written comments concerning the applicant not only on such specific topics as knowledge, skill, thoroughness, preparation, effectiveness, and judgment, but also concerning the applicant's ethics and professionalism. Names of applicants will be published in a State Bar of Arizona publication, providing an opportunity for comment, at least 30 days before consideration of applications by the Family Law Advisory Commission. Reference names supplied by the applicant shall not include members of the Board of Legal Specialization or the Family Law Advisory Commission. The Family Law Advisory Commission may also consult other sources. Documentation of all matters and comments considered by the Advisory Commission shall be contained in the applicant's file. Continuing Legal Education Requirements. Continuing legal education requirements for attorneys certified as Family Law Specialists shall be 15 hours per year, in one or more seminars, including, three hours of professional responsibility. Credit for other educational activities may be granted by the Board of Legal Specialization as specified in the Rules and Regulations, Section VIII.B. Waivers. The Advisory Commission may recommend waiver of any requirement if circumstances so warrant. For each incident of waiver, the Advisory Commission shall advise the Board of Legal Specialization which specific requirements were waived, the specific reasons justifying the waiver, and the substituted requirements, if any, that were considered by the Advisory Commission. Standards: During the period of certification, the specialist must have had substantial involvement in the field of family law as defined in Section II(B)(2), and must have continued to demonstrate competence and integrity as defined in Section II(C), and must have fulfilled the continuing legal education requirement of Section II(E), all subject to the policy regarding waivers stated in Section II(F). Procedures: The specialist shall submit to the BLS a fully completed and executed Application for Re-Certification in Family Law in the prescribed form. With the application, the specialist shall submit the names of not less than five (5) Arizona attorneys who were opposing counsel in family law matters settled or litigated by the specialist during the period of specialization. Those references shall not include members of the Board of Legal Specialization or the Family Law Advisory Commission, and a list of lawyers serving as members of those bodies shall be provided to the specialist with the application form. The Family Law Advisory Commission will select at least five additional Arizona lawyers or judicial officers as references from the information about contested hearings and settlements submitted by the specialist. Each of those references shall be provided a reference request in the prescribed form and shall be asked to provide information as described in Section VI(H) of the Rules and Regulations of the Board. With the application, the specialist shall submit a listing of at least 15 contested evidentiary hearings in which he or she served as lead counsel and one or more issues were decided by the court and a listing of at least 25 negotiated settlement agreements, post or pre-nuptial agreements, paternity agreements or stipulated decrees in which he or she was lead counsel. The hearings and agreements must have occurred after the date of the specialist’s most recent Application for Initial Certification or, in the case of a specialist who has previously been recertified, must have occurred after the date of his or her most recent application for Re-Certification. Names of specialists seeking re-certification shall be published in a State Bar of Arizona publication, providing an opportunity for comment, at least thirty (30) days before consideration of re-certification by the Family Law Advisory Commission. The application shall require that the specialist provide information regarding discipline, judicial sanctions, and malpractice claims during the period of certification. The application for Re-certification shall be reviewed by the Family Law Advisory Commission, including information contained in the application, the returned reference requests, and any comments received from the public or members of the Bar or judiciary. The Advisory Commission may send reference requests to additional lawyers or judicial officers, particularly if the Commission deems the number or contents of returned reference requests to be insufficient for purpose of review. The Commission may also consult other sources. Documentation of all matters and comments considered by the Commission shall be contained in the specialist’s file. Based on all information described in Section III(B)(1),(2), and (4), the Commission shall recommend to the BLS whether the specialist should be re-certified. The recommendation shall be subject to rules and regulations regarding requests for appearance and appeals that apply to initial granting or denial of certification. Submission of a timely application for Re-certification shall operate to extend the specialist’s certification until the Advisory Commission has made its recommendation to the BLS and the BLS has acted on that recommendation. Specified Cases Since the date of the last previous application for certification or re-certification, the specialist must have been lead attorney in at least ten specified cases (as defined in Standard II.B.4), including at least one case from each of at least five of the categories. The lists of settlements and trials and hearings submitted by the specialist must identify the cases submitted as specified cases and must designate (by letter) which category of Standard II.B.4 is represented by each. One case cannot fulfill more than one category of the specified case requirement at the Superior Court level. One case cannot fulfill more than one category of the specified case requirement at the appellate court level (for example, if there is an interlocutory special action in the Court of Appeals and then after the decree, there is an appeal to the Court of Appeals and the Supreme Court accepts review of the decision in that appeal, those proceedings at the appellate level can only be counted as one case). The same case can fulfill one of categories 4.a through 4.i of the specified case requirement at the Superior Court level and also fulfill category 4.j at the appellate court level. In at least three of the cases submitted as specified cases, the specialist must have been lead attorney in a trial or hearing (as defined in Standard II.B.3) or an oral argument before the Court of Appeals or Supreme Court, at which one of the issues litigated was the issue for which the case is submitted as a specified case.